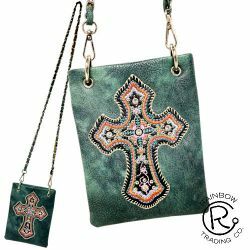 Turquoise PU leather messenger bag with embroisered cross and crystal rhinestone studs. 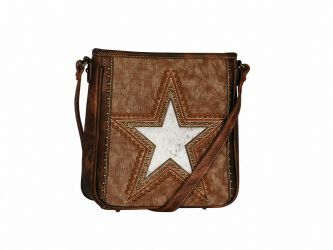 P and G Collection brown PU leather conceal and carry cross body purse. 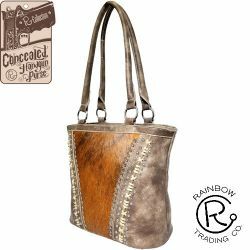 Brown PU leather conceal carry handbag with large cowhide inlay on front. 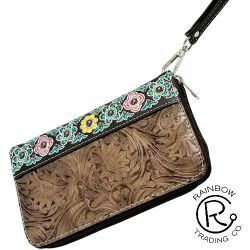 Brown PU leather zipper wallet with embossed leather floral design. 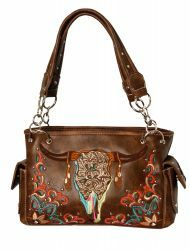 Brown PU leather conceal carry handbag with embroidered flowers. 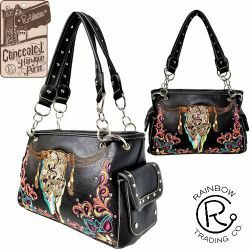 Black PU leather handbag with embroidered ornate steer head. 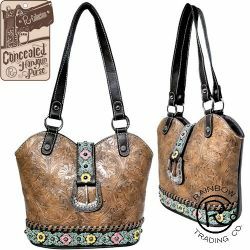 Chocolate brown PU leather conceal carry handbag with embroidered ornate steer head. 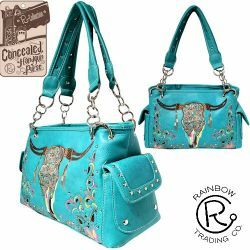 Turquoise PU leather handbag with embroidered ornate steer head. Black PU leather zipper wallet with flower design. 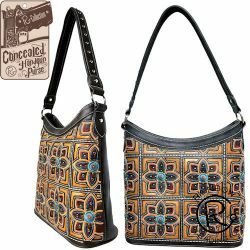 Black PU leather conceal carry handbag with flower design. 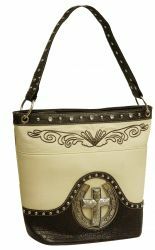 Light colored PU leather purse with engraved horse shoe and cross. 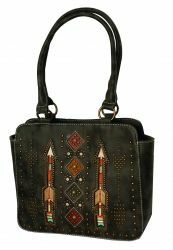 Black PU leather messenger bag with teal embroidered arrows and copper studs. 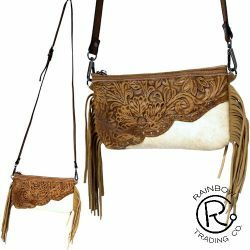 Genuine leather crossbody bag with floral tooled leather top and white cowhide bottom. Tan PU leather folding wallet with buckle closure and embossed leather look. 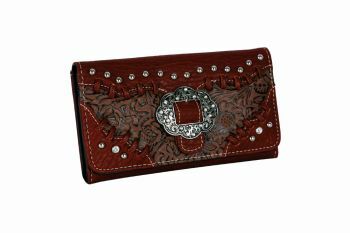 Reddish Brown PU leather tri-fold style wallet. 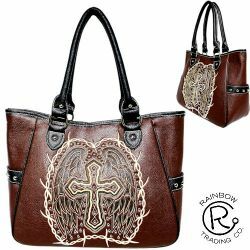 Dark Brown PU leather handbag with cross and wing embroidery. 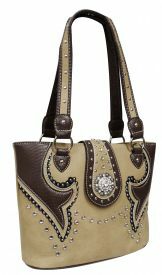 Tan PU leather handbag with crystal rhinestone rosette concho. 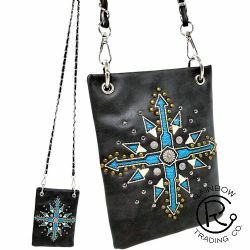 Dark gray PU leather purse with embroidered arrow design. 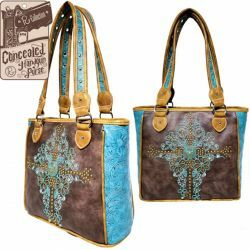 Brown PU leather conceal and carry hand bag with embossed turquoise leather sides. 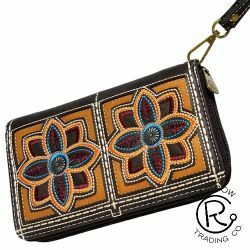 Dark PU leather phone messenger wallet with embroidered and studded arrow design. 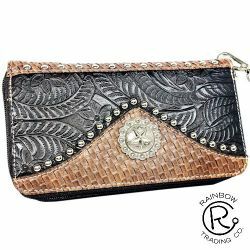 Black Embossed PU leather zipper wallet with wristlet. 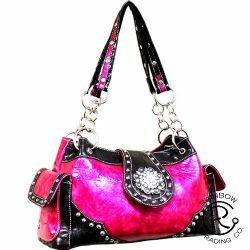 Hot Pink PU leather handbag with black trim and large rhinestone concho. 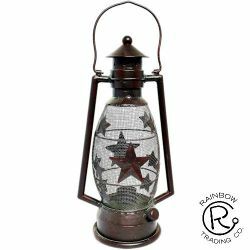 Electric horse shoe lantern with light bulb. 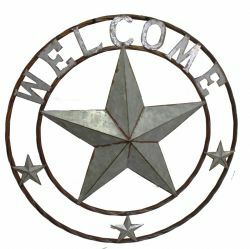 24" "Welcome" tin sign with raised star.